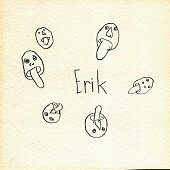 Not necessarily feeling confined by the verse-chorus-verse structure, Erik Sanko's Past Imperfect, Present Tense is a jarring album that also defies the singer-songwriter genre, preferring to shake things up and add a certain quirkiness, rather than keep things normal. An uncanny able, it's haunting, mysterious darkness lures you in, while Sanko's songwriting holds you in. Saying more with quietness and mystique than with noise and pounding a message down your throat, Sanko prefers to lay back and let you find the song rather than the song find you. However, he's not without his loud moments, shaking things up more and breaking up the norm with some noise to send your reeling. But, it always finds you getting back up for more.